With Father's Day just around the corner, it's important to find a gift that's fun and useful. If he's the kind of guy who enjoys a frozen cocktail and wearing a Hawaiian shirt on the weekend, a frozen concoction maker might be the best gift for him. But before you click that button and get him a gift he'll love for years to come, make sure you find the party machine that matches his very own personality. At every family party, if your dad is the one making sure that everyone's glasses are full, he's the born party host. Even if the celebration isn't at his house, he cares that everyone has what he or she needs and is having a good time. His favorite party machine would be the Margaritaville® Tahiti™ Frozen Concoction Maker®. With three separate blender jars, this party machine can hold multiple fresh-blended cocktails at the same time. You dad can blend a piña colada, daiquiri and margarita all within minutes and keep them on hand to make sure every guests gets his or her favorite. If your dad loves gadgets, get him the Bali™ Frozen Concoction Maker®. For men who are always building something or playing with the newest gadget, the Margaritaville® Bali™ Frozen Concoction Maker® is a great gift idea. 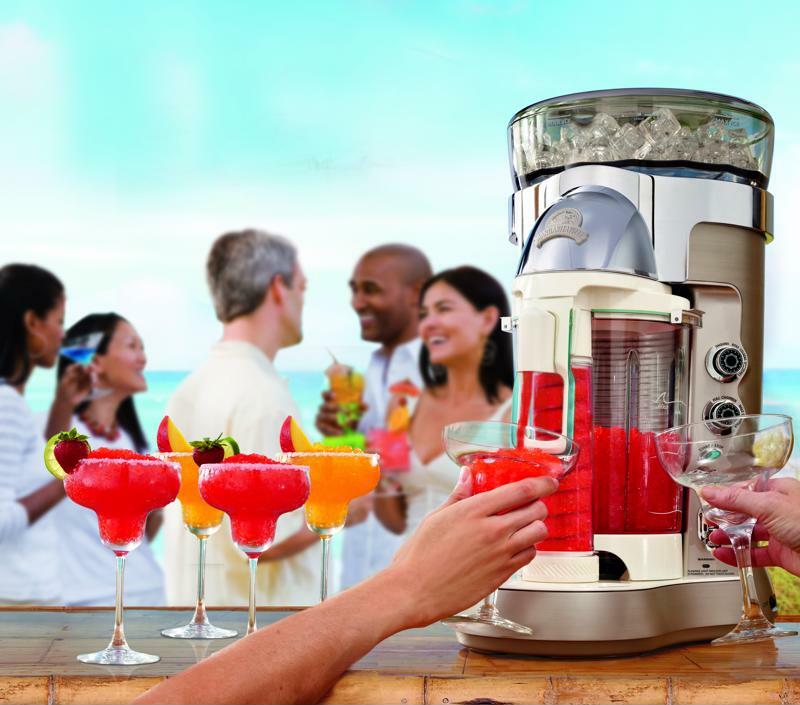 Not only does it feature the unique all-in-one ice shaving and blending features of any party machine that are sure to interest a gadget fanatic, but it also has a self dispenser. The dispenser lets you pour each glass without taking out the blender jar - a neat piece of hardware dad will be proud to show off to guests. If your dad is the guy at the party fixing everyone the perfectly mixed drink, he needs the Margaritaville® Fiji™ Frozen Concoction Maker® with its party guide. While all frozen concoction makers can make a professional tasting frozen cocktail, the Fiji™ allows your pop the versatility to blend anything he can imagine. It has pre-programmed settings for 'ritas, daiquiris, slides and smoothies, and comes with the book for even more recipes. Plus, he can use it to blend whatever custom drinks he can think up. If your dad is the kind of guy who always arrives early, packs the car with precision and knows what he's going to order before you get to the restaurant, then the Margaritaville® Key West™ Frozen Concoction Maker® with Salt & Lime Tray & Travel Bag is right for him. This all-in-one kit gives him all the tools to make a margarita the right way. Plus, it's a portable option that he'll love for taking to parties. Get him a gift he'll love. Sometimes dads aren't looking for a fancy gift that they can show off or use to serve tons of people, they just want a well​-made cocktail. 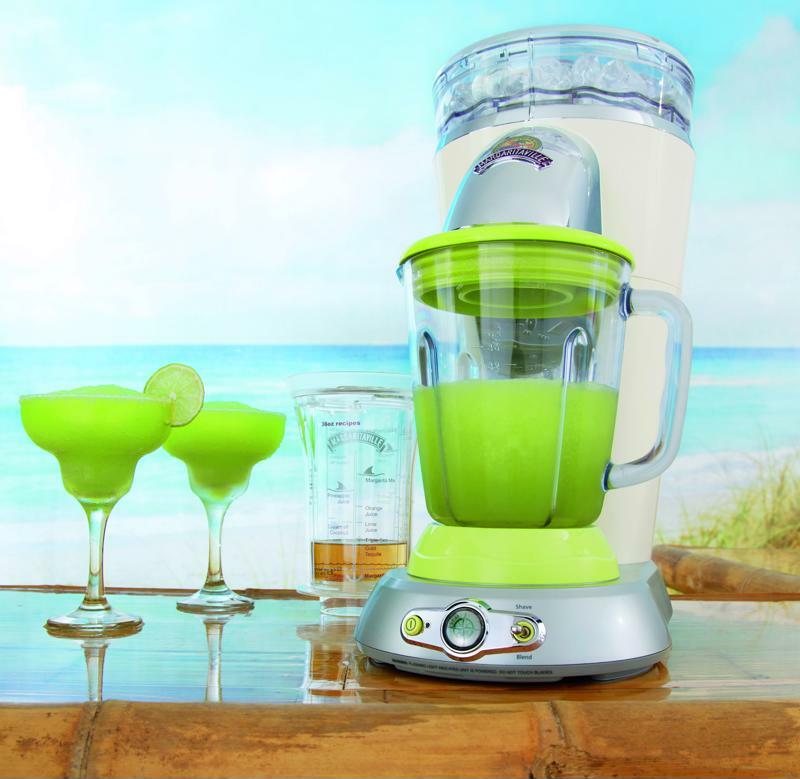 For these no-nonsense dads, the Margaritaville® Bahamas™ Frozen Concoction Maker® & No-Brainer Mixer will do the trick. It's as easy to use as possible and you'll end up with a delicious, perfectly blended margarita every time.